Built on the site of the former Metropole Hotel, which was destroyed in the 1916 rising, the Metropole Cinema & Restaurant became one of the most fashionable venues in Dublin. 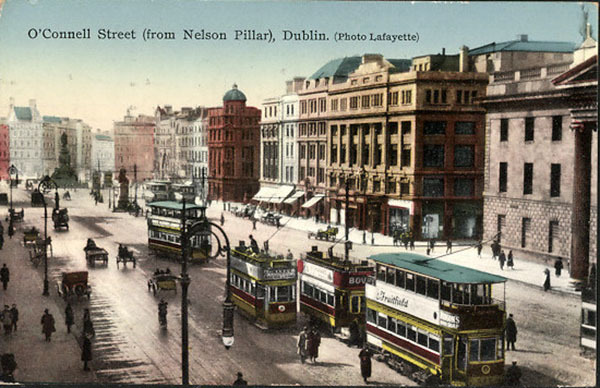 Designed by Aubrey V. O’Rourke, brother of the city architect Horace, it was in keeping with the stripped classical aesthetic used for much of the rebuilding of O’Connell Street. In addition to a magnificent auditorium, it had a ballroom, shops and a popular restaurant. Alas, with the decline of cinema-going in the early 1970s, it closed in 1972. It was demolished and replaced with a department store for British Home Stores, now being used by Pennys.